I am a GP at Arran Medical Group with over 8 years' experience of providing medical care to a population that fluctuates from 5,000 to 25,000 people, on an island the size of Greater Glasgow. This includes core general practice as well as prehospital, A&E, intermediate and palliative care. In July 2019 I am relocating to East Lothian. I am keen to work initially as a sessional GP, with a view to more substantive roles in the medium term. I would welcome contact regarding opportunities in core general practice, as well as ways to continue my interests in emergency care, teaching and mental health. GP since 2010; GP Principal 2013 - April 2019. MRCGP in 2010. FRCGP in 2018. Highly experienced with EMIS. Vision trained but not yet experienced. Competent with PACS, Adastra, and over 20 other clinical systems. I enjoy providing the broad spectrum of generalist medical care that general practice requires. I have clinical interests in mental health, adolescent/young people's health, respiratory medicine and urgent/emergency care. Honorary Senior Clinical Lecturer/Teacher at Glasgow and Dundee Universities. GP Tutor to over 50 medical students (Glasgow, Dundee, Edinburgh & London medical schools). GP Rural Fellowship Supervisor since 2014. Experienced in delivering GPST, paramedic and nurse practitioner training (including as Designated Medical Practitioner). Experienced in simulation training (Laerdal SimMan and QCPR systems). Practice-Based Small Group Learning Facilitator. IT Lead at Arran Medical Group for over 6 years. Fluent in WordPress and Sharepoint, including independently designing intranet and internet platforms for Arran Medical Group. Successful deployment of social media including Facebook, Instagram and Twitter channels. Successful use of video and photography for recruitment material and induction information. (See BBC News article). Regular (1 in 8) rota to lead ward rounds and complex care to 11-bed community hospital inpatients. Regular PHECC and PHPLS qualification updates. Attended over 140 BASICS calls, including cardiac arrest, major trauma, and difficult paediatric/obstetric cases. MIMMS trained and Major Incident Medical Commander on Arran for 5 days protracted weather incident in 2013. Team member of Arran Mountain Rescue Team and RNLI Lifeboat Medical Advisor until 2019. Competent and experienced in remote & rural A&E such as patient stabilisation, procedural sedation, x-ray interpretation, IV/IO/IN access, suturing, plaster-casting etc. Experience of transfer logistics including helicopter and ScotSTAR capabiities. iSAR, AIRWAVE and VHF radio competent. Completed Collaborative Leadership in Practice training (2018). On Arran we merged our 3 practices in 2012. My specific input to this included developing IT platforms and overseeing a cohesive practice strategy to preserve multi-site patient access to a range of generalist and specialist services. Lead partner for young people's health, respiratory medicine, patient access/GP templates, information & communication technology, undergraduate teaching and Rural Fellowship. Chair of the Rural GP Association of Scotland until November 2018. Member of RCGP Scottish Council from 2012 to 2017. I'm also interested in photography and music. You can view my photography portfolio at www.davidrhogg.com. NB I am unable to respond to patients by email unless this has been agreed in advance. I am registered with Lothian Assocation of Sessional GPs (LASGP) and regularly access the Job Board. Increased availability from July 2019 onwards. Here's some links that I find useful to signpost patients to during consultations. If I have seen you as a patient, I may have recommended these to you, in which case scroll down to the appropriate section to find the link mentioned. Intercalated degree. Research project was on the stereologic analysis of the distribution of myosin and elastin in placentas from smoking and non-smoking mothers. Medical degree at Glasgow University. Included electives at Great Ormond Street Hospital London, and Kanti Children's Hospital, Kathmandu. Based with London Road Medical Practice, Kilmarnock. Rotations included A&E and Medicine (Ayr Hospital), Psychiatry, Obstetrics & Gynaecology and Paediatrics (Crosshouse Hospital). Ten-GP practice providing full range of rural medical services - from core general practice to A&E and inpatient care at Arran War Memorial Hospital. In addition, we provide out-of-hours, forensic medical services, prehospital 'BASICS' care and more. I have specific responsibilities in the practice for IT, patient access, emergency care, respiratory medicine, the rural fellowship and undergraduate teaching. Occasional reviewer for the RCGP journal for GP trainees. Representing West of Scotland Trainees. I also organised the Trainees' stream of the RCGP Annual Conference, held in Glasgow in 2009. Initially co-opted to BASICS Scotland Board in 2011, and a Director from September 2012 to December 2014. Including a focus on input regarding First5 and rural issues. I have also been media trained to work with TV, radio and print journalists. 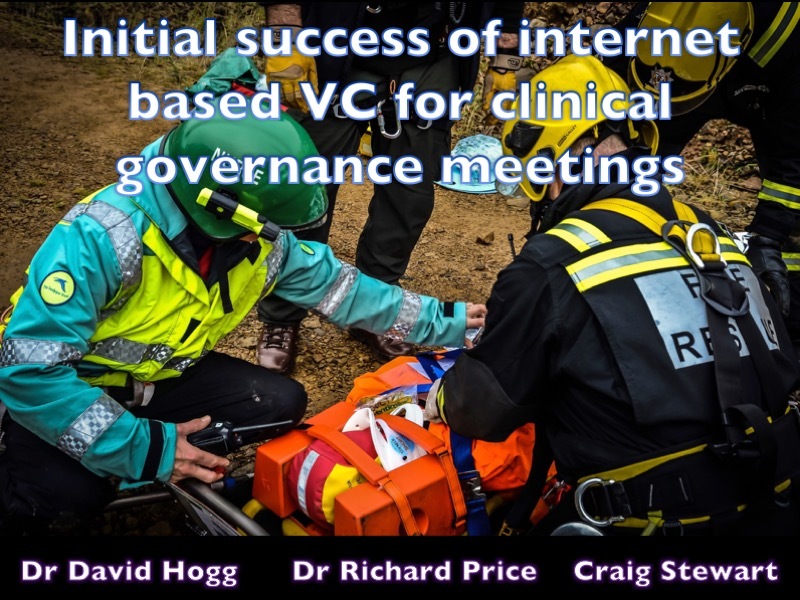 Since 2012 we have developed a system for clinical governance - including regular VC meetings - for responders across Scotland. Oversee undergraduate student input to the annual conference, and set up the RGPAS Student & Travel Scholarship programme in 2015. Representing the needs and views of rural GPs across Scotland. There's lots of fantastic work going on in rural practice, and RGPAS aims to showcase some of this. There have also been challenges, including concerns around the implementation of the new GP contract in rural Scotland. This has required skills such as regularly chairing committee meetings, engagement with members and work with media to represent these concerns. This experience has led to understanding of the medicopolitics that are defining Scottish general practice today. Co-ordinator to the Arran Resilience group, which brings together the emergency teams on Arran. In 2013, Arran Resilience was awarded the UK Resilience Team of the Year award by the UK Emergency Planning Society. Providing on-shore input, particularly in the provision of RNLI medical examinations for current and prospective crew. ConnectArran was set up to catalyse development and innovation on Arran. This project aimed to be a helpful conduit to lilnk the local population & businesses with regulators & connectivity pioneers, in order to facilitate far-reaching connectivity across the island. The project led to the successful deployment of the first consumer-level 'Dynamic Spectrum/WhiteSpace' provision of superfast internet to Machrie and the South End of Arran, two areas that were set to lose out to the BT roll-out of superfast broadband. We also saw effective lobbying to improve 4G and other connectivity around the island, such that the project concluded in 2017. I completed facilitator training for the Practice Based Small Group Learning programme in 2009, and we continue to run occasional PBSGL sessions on Arran. Providing supervision and mentoring to our GP Rural Fellows - and some wider input to the NHS Education for Scotland Rural Fellowship scheme. Regular hosting of GP student attachments to our GP practice. Includes supervising students, devising appropriate timetables, providing tutorials and giving feedback. Since completing the Scottish Simulation Centre course in facilitation in 2011, and hosting a visit from the mobile skills unit in the same year, I have developed my skills in providing clinical simulation with low- and mid-fidelity technology. Latterly, we have benefited from Sandpiper Trust funding to provide mid-fidelity simulators on Arran, and we have been using these in both our GP practice and community hospital context to provide training on cardiac arrest and peri-arrest scenarios. Completed this course in 2014 after being IP'd for PreHospital Paediatric Life Support. Completed initial stages of IC training for PHPLS before ceasing this in 2018 due to other responsibilities. Overseeing KCL GP placements to Arran. Six month project to deliver a series of online-learning modules for a postgraduate GP qualification in acute & urgent care. 200 hours of distance-learning Masters-level learning material and activity was developed on unscheduled care, and another 200 hours of similar material was developed on intermediate care. A collaborative effort amongst clinicians to produce a module for the Practice Based Small Group Learning (PBSGL) network on the management of serious illness in children. Should nightshift work mean an earlier age of retirement? Now here’s a potentially controversial idea. In return for doing nightshifts, should NHS staff be entitled to an earlier retirement? This idea came to me during a 4am callout. A recent general recommendation from our accountants to check for any gaps in national insurance contributions, took me to the HMRC website. It informed me - cheerfully, I felt - that I had contributed 14 full years of national insurance, and I had another 32 to go until retirement. The 10-minute car journey to the hospital presented an opportune moment to reflect on whether this makes me feel young, or depressed. Case Presentation to the BASICS Scotland Conference in Carnoustie, about a prehospital BASICS callout for premature labour. The value placed on staff development is often a useful barometer to the culture and outlook of an organisation. An engaged and valued workforce tends to be a happy, productive and effective workforce. Of course, in the NHS, numerous pressures mean that it can be difficult to achieve the Zen approach to staff happiness that big multinationals like Google and Apple are often cited as being able to achieve. However, whilst recognising the frustrations, limitations and sometimes downright atrocious decision-making to be found in our NHS, most of us still manage to find professional satisfaction with the patient contact that is part-and-parcel of daily GP-ing, fixing unwellness, reducing suffering and the privilege of fostering therapeutic rapport. I remember the frustration of reading this article in the BBC News back in 2014, when Scottish GPs were being criticised by Reform Scotland for not embracing online appointment booking and prescriptions. The Scottish Government was quoted as saying ‘online services are currently available to all GP practices in Scotland’ and that it was 'continuing to work to promote and encourage practices to use these services’. As IT lead for our practice, my jaw dropped somewhat. Are we relying on Huldufolk to give us rural integrated care? According to Icelandic folklore, when scrambling over volcanic rockscape it is not uncommon to experience the sensation that you are being joined by groups of people behind you. And yet, when you turn around, no one is there. The Icelandic term for the mysterious and unseen individuals responsible for this, is Huldufolk (yes, pronounced hool-de-foke), or ‘the hidden people’. I sometimes get the same feeling when hearing promises of what the ‘wider primary care team’ will offer us in the next version of the Scottish GP contract; especially in rural areas. When should GPs participate in emergency teams, and what is their contribution? Together with fellow GPs we explored aspects of GP participation in emergency teams. We presented research on the GPs’ key contributions, how decisions are made and how leadership is enacted. Our ambition is to strengthen the awareness of the GP’s role as a primary care emergency team member. Objectives: Together with fellow GPs we want to explore aspects of GP participation in emergency teams. We present research on the GPs’ key contributions, how decisions are made and how leadership is enacted. Our ambition is to strengthen the awareness of the GP’s role as a primary care emergency team member. Background: In 2010 a Norwegian study found that GPs are alerted in less than half or pre-hospital emergency incidents. Furthermore, when alerted, the GPs choose to participate in less than half of the call-outs (Zakariassen & Hunskår 2010). White papers have called for increased GP participation in such incidents. Others, however, have questioned the utility of GP participation and suggested that patients may be better served by emergency medical technicians alone (Kindt et al 2013). Consistent with this view Norwegian GPs have reported lack of experience with common emergency procedures (Wisborg & Brattebø 2001). However, recent focus group studies suggest that although their role may have changed, GPs still have an important role in the pre-hospital emergency incidents. (Hjortdahl et al 2014, 2016). For our workshop this will be the point of departure, as we share research and experiences relevant to the GP’s role as a team member. Based on a complete sample of emergency incidents in the island community Austevoll, Norway, Sverre Rørtveit was able to study the GP’s contribution in terms of practical skills and an overall ability to assess the seriousness of the situation. In the municipality of Alta, Norway, Helen Brandstorp explored leadership and learning processes in team training sessions based on simulated emergency incidents. On the Island Arran on the west coast of Scotland numerous holidaymakers get injured during outdoor activities along the coast and in the high mountains. Arran Resilience was formed to bring the coastguard, mountain rescue, police, fire and ambulance together for joint exercises, aiming to improve communication and teamwork (Hogg 2015). Session Content: We will start with a short onsite survey regarding the GPs’ role in emergency incidents, confidence in emergency medicine procedures and whether the GP would participate in hypothetical emergency call outs. We proceed with four short presentations: – Triage during pre-hospital, emergencies – how do GPs decide? 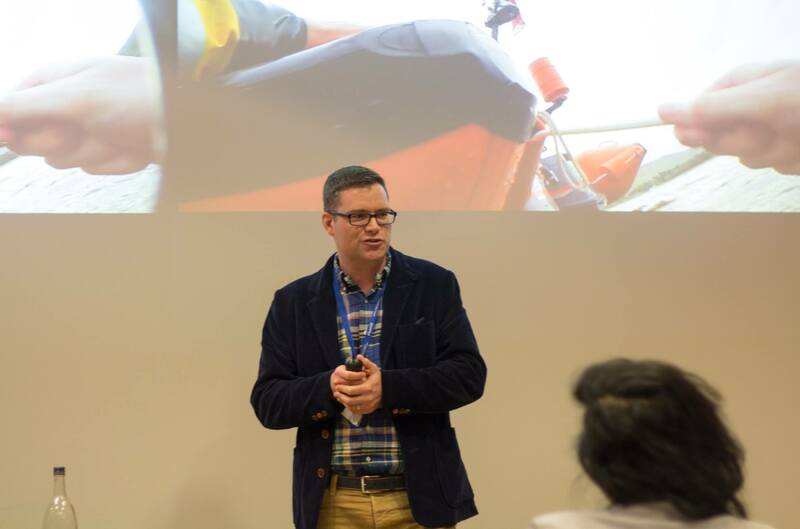 (Rørtveit) – Confidence in emergency medicine procedures among GPs (Holte-Ambjørnsen) – Leadership in the course of pre-hospital emergencies – what does it look like? (Brandstorp) – Arran Resilience: Networking island emergency responders. (Hogg) The session ends with feedback from the onsite survey, comparison with a recent survey of 1000 Norwegian GPs and a general discussion (Hjortdahl & Halvorsen). 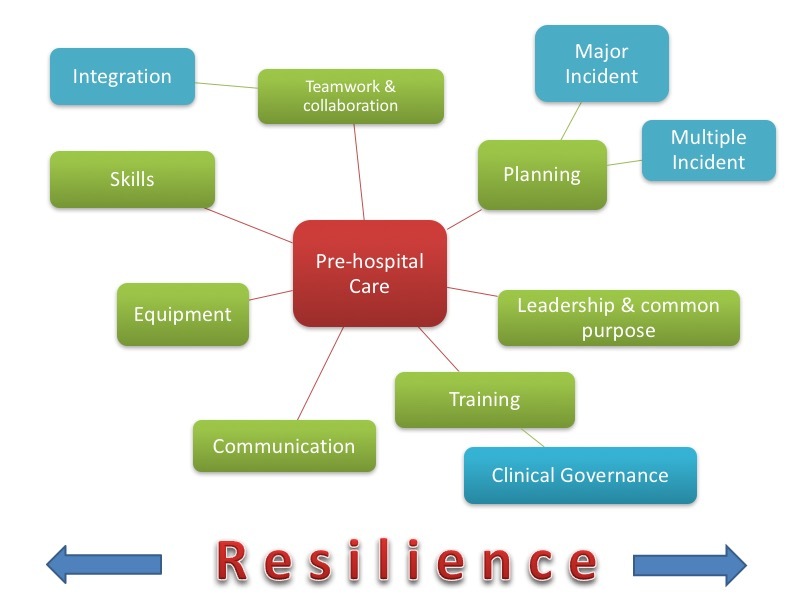 Arran Resilience: a model for integrated rural prehospital care? The Arran Resilience model offers a cost-neutral, easily implemented model of immediate care delivery to rural areas. It seeks to recognise the skillbase of emergency teams, and improve co-ordination of emergency responses at high demand or in the event of a major incident or complexity. Background Arran is an island community with finite – but committed – emergency medical resources. Prior to October 2010 no mechanism existed for regular dialogue between emergency teams such as the ambulance, mountain rescue, coastguard and fire services. We sought to change this with the aim of better networking and interagency training. Intervention We aimed to improve communication between team leaders, and sought to build a partnership based on four key principles: 1) Local ownership; 2) Can-do attitude; 3) Working within existing competences/frameworks; and 4) Cost neutrality. Evaluation We have now held twenty five liaison meetings. In the initial stages we ran eight island-wide workshops on casualty care, and until recently, organised three multi-agency exercises at very low cost. Regular dialogue between teams has been facilities via a group email, and this has resulted in better understanding of each team’s skills and capabilities. Our ‘Team Profiles Document’ summarises equipment, skills and personnel for each of our emergency teams, and is updated on an annual basis. This is particularly helpful for new staff e.g. police officers to understand capabilities of the emergency teams. We are now focussing on simulation training and refining the multi-agency response to cardiac arrest on Arran. There has been interest in the Arran Resilience model of immediate care from other island and rural communities. In 2013 we were named the UK Resilience Team of the Year by the Emergency Planning Society Conclusion The Arran Resilience model offers a cost-neutral, easily implemented model of immediate care delivery to rural areas. It seeks to recognise the skillbase of emergency teams, and improve co-ordination of emergency responses at high demand or in the event of a major incident or complexity. BASICS (Scotland) provides education and support in prehospital emergency care to healthcare providers throughout remote and rural Scotland. Nationally, the organisation enables 176 healthcare providers who respond to prehospital emergency calls in their locality in support of the Scottish Ambulance Service. Given the geographical challenges faced by rural responders wishing to attend such meetings, a specific issue we faced was how to enable these meetings to be provided on a virtual platform which would allow participation in group discussion. 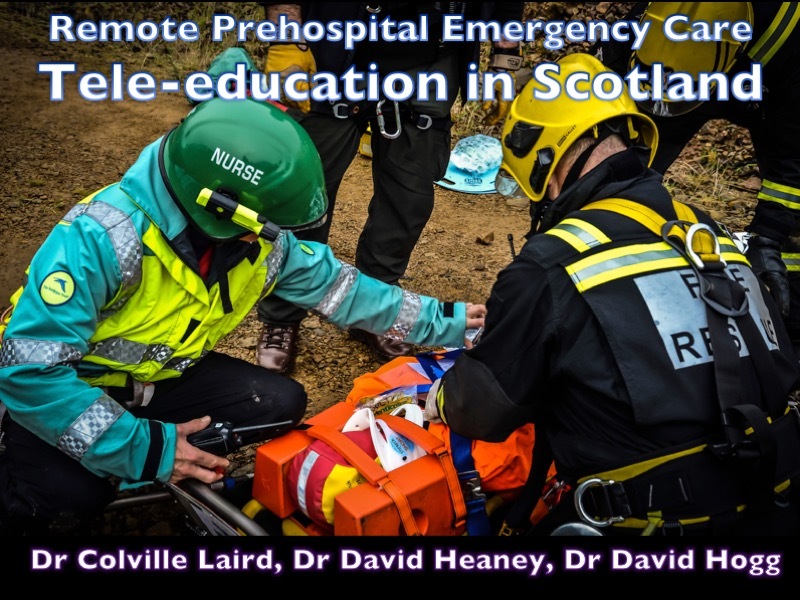 This presentation considered the development of regular 'virtual' meetings whereby responders are able to discuss cases, be informed of latest service developments and obtain peer support for rural prehospital care in Scotland. BASICS (Scotland) provides education and support in prehospital emergency care to healthcare providers throughout remote and rural Scotland. Nationally, the organisation enables 176 healthcare providers who respond to prehospital emergency calls in their locality in support of the Scottish Ambulance Service. Given the geographical challenges faced by rural responders wishing to attend such meetings, a specific issue we faced was how to enable these meetings to be provided on a virtual platform which would allow participation in group discussion. This presentation considered the development of regular ‘virtual’ meetings whereby responders are able to discuss cases, be informed of latest service developments and obtain peer support for rural prehospital care in Scotland. Consider how to share images effectively to inspire potential recruits to rural practice. 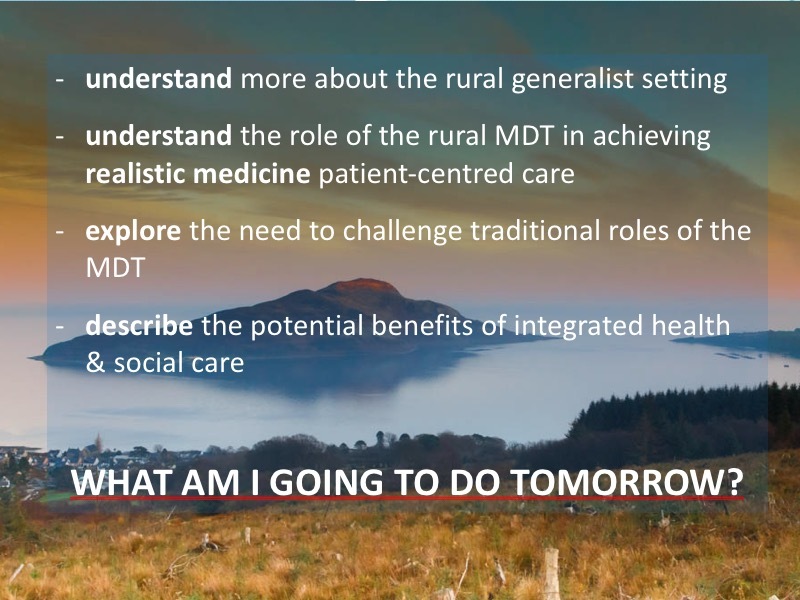 Presentation to the annual Scottish Trainees' conference of the British Geriatric Society - background, case scenarios and workshop to introduce some of the challenges of providing complex care of the elderly and intermediate care in remote & rural settings. Delivered with Deena Deans, physiotherapist at Arran War Memorial Hospital. Lots of discussion and enthusiasm for #RealisticMedicine was evident from the participants! 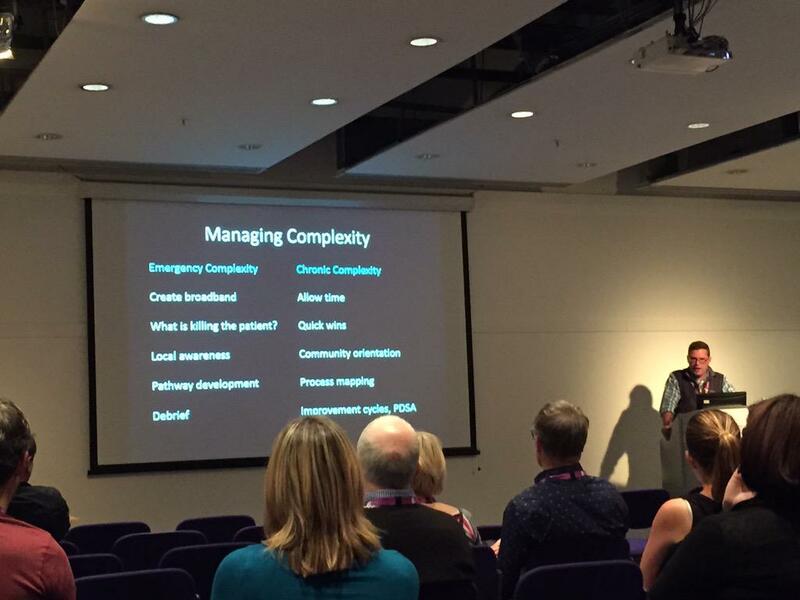 Presentation to the annual Scottish Trainees’ conference of the British Geriatric Society – background, case scenarios and workshop to introduce some of the challenges of providing complex care of the elderly and intermediate care in remote & rural settings. Delivered with Deena Deans, physiotherapist at Arran War Memorial Hospital. Lots of discussion and enthusiasm for #RealisticMedicine was evident from the participants! Following Dr Thom O'Neill's presentation to the RGPAS Annual Conference in November 2016, we were keen to develop factsheets and materials to assist rural GPs in Scotland develop their services and approach to LGBTQ+ patients. 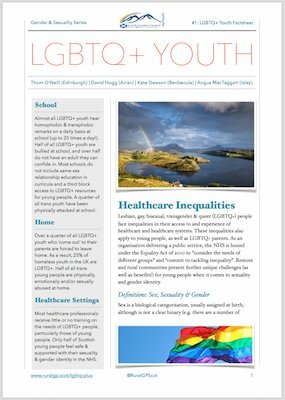 Dr O'Neill was instrumental in developing the content for three resulting factsheets: LGBTQ+ Youth, Trans Youth and LGBTQ+ Elderly, with a strong emphasis on the challenges and specifics of rural communities. Since these factsheets were launched, we've had international interest including Canada, New Zealand and Australia, and individual practices in Scotland have reported various activities to improve local awareness of the issues highlighted in the factsheets. Following Dr Thom O’Neill’s presentation to the RGPAS Annual Conference in November 2016, we were keen to develop factsheets and materials to assist rural GPs in Scotland develop their services and approach to LGBTQ+ patients. Dr O’Neill was instrumental in developing the content for three resulting factsheets: LGBTQ+ Youth, Trans Youth and LGBTQ+ Elderly, with a strong emphasis on the challenges and specifics of rural communities. Since these factsheets were launched, we’ve had international interest including Canada, New Zealand and Australia, and individual practices in Scotland have reported various activities to improve local awareness of the issues highlighted in the factsheets. This workshop was run for NHS Education for Scotland at their CPD Connect showcase event to plan future CPD strategy in Scotland. The workshop aimed to give some perspective of the challenges of delivering CPD, some of the opportunities including recent work on videoconferencing as an enabler, and also to introduce the concept of 'Clinical Courage' and its place in the learning cycle. This workshop was run for NHS Education for Scotland at their CPD Connect showcase event to plan future CPD strategy in Scotland. The workshop aimed to give some perspective of the challenges of delivering CPD, some of the opportunities including recent work on videoconferencing as an enabler, and also to introduce the concept of ‘Clinical Courage’ and its place in the learning cycle. I was invited to give evidence to the Health & Sport Committee on behalf of the Royal College of GPs Scotland, about the challenges surrounding recruitment & retention to rural areas. I joined a relatively large panel, and a lively discussion ensued. You can watch the proceedings in the video clip attached to this entry. Student Workshop: So You Want to Work in PreHospital Care? Student workshop run for around 30 student participants attending the BASICS England & Wales Conference, on career considerations and opportunities for developing interests in critical, retrieval and prehospital care in Scotland. We covered the spectrum from retrieval medicine and hospital specialty training, to rural medicine and opportunities in general practice. 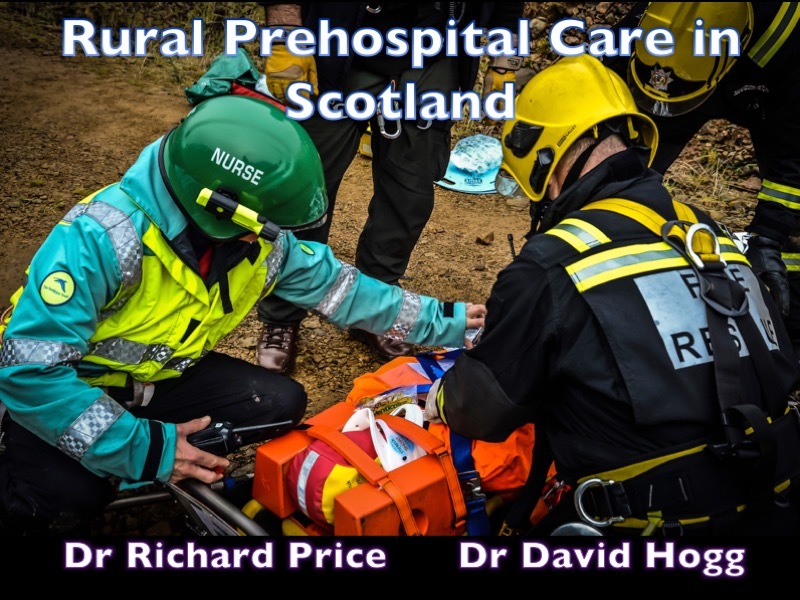 In this presentation, we provided a perspective of rural prehospital care in Scotland. We outlined the structure and function of BASICS Scotland, how this is supported by the Sandpiper Trust, and some recent work into the efficacy of videoconferencing for clinical governance purposes. Is academic prowess the best predictor of a future GP? It’s the time of year when school pupils find out their exam grades, on which their life trajectories seem - at least at this time of year - mapped out as a result. Cue the usual debates about whether this year’s exams were more easy or difficult, and for us medic folks, whether academic prowess (as measured by our exam system) is the best means by which to initially select students for medicine. 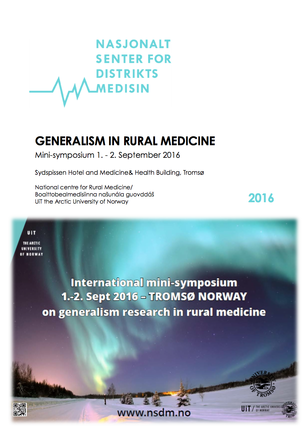 Approximately 60 researchers with a special interest in generalism in rural medicine met in Tromsø, Northern Norway, for this mini-symposium. The intention was to create a place to share knowledge, plans and ideas; get an overview of what is going on around the world; a chance to revisit and clarify goals; thinking of the values we really want to define; do research that captures what makes rural generalism so different & important; and finally, do some initial collaborative work. Approximately 60 researchers with a special interest in generalism in rural medicine met in Tromsø, Northern Norway, for this mini-symposium. The intention was to create a place to share knowledge, plans and ideas; get an overview of what is going on around the world; a chance to revisit and clarify goals; thinking of the values we really want to define; do research that captures what makes rural generalism so different & important; and finally, do some initial collaborative work. I participated in four workshops covering Clinical Courage, Telemedicine and Curriculum Development for Rural Practice. At least two articles are in the pipeline as a result of attending this symposium, along with additional research links and new collaborative opportunities. Review of the WONCA Rural Medical Education Guidebook - a great resource for all clinicians involved in teaching rural and remote healthcare. Full article only available behind journal paywall, sorry. Review of the WONCA Rural Medical Education Guidebook – a great resource for all clinicians involved in teaching rural and remote healthcare. This review article was published in the Journal of Rural & Remote Health following my presentation to Rethinking Remote 2016, held in Inverness. It highlights the opportunities now available for international collaboration, particularly in order to share good practice from a range (and often similar) settings of remote healthcare. Professional isolation is a recurring issue in the delivery of rural and remote health care. However, collaboration is now more feasible with developments in technology and connectivity. At an international scale, collaboration offers clear opportunities for good ideas and great work to be shared across distances and boundaries that previously precluded this. 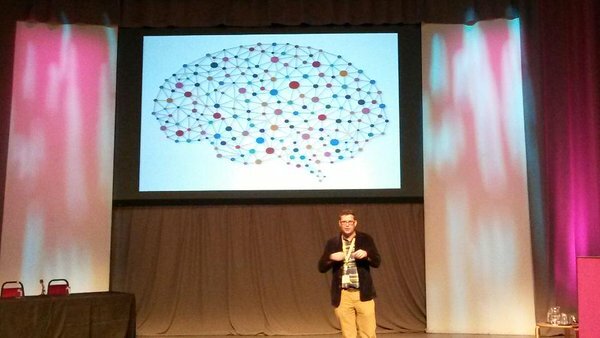 This article reflects a presentation given to the Rethinking Remote conference in Inverness (Scotland) in May 2016. A number of factors with regard to infrastructure and engagement are considered, along with ways in which the opportunities of collaboration between individuals and large centres can be optimised. Social media and increased connectivity pave the way for easier access to great practice across international sites that share similar challenges. This talk was given to the Rethinking Remote 2016 conference, held in Inverness on May 23-24. I was asked (and delighted to try!) to explore some of the opportunities and challenges around international collaborative working. We also managed to successfully conduct a live Skype discussion with Prof Phil Cotton and two of his colleagues in Rwanda. This talk was given to the Rethinking Remote 2016 conference, held in Inverness on May 23-24. I was asked (and delighted to try!) to explore some of the opportunities and challenges around international collaborative working. We also managed to successfully conduct a live Skype discussion with Prof Phil Cotton and two of his colleagues in Rwanda. This video was taken by a team from Armchair Medical ( armchairmedical.tv ) who have kindly made this recording available for public consumption. I’ve taken a look at their other videos and would recommend having a look at what they have on offer (I have no conflict of interest). Connectivity is a vital component to allow innovative solutions to be considered in the rural environment. This workshop will explore ways in which rural connectivity can be delivered effectively, and consider some of the benefits of connected healthcare. Conclusions Connectivity is a vital component to allow innovative solutions to be considered in the rural environment. This workshop will explore ways in which rural connectivity can be delivered effectively, and consider some of the benefits of connected healthcare. 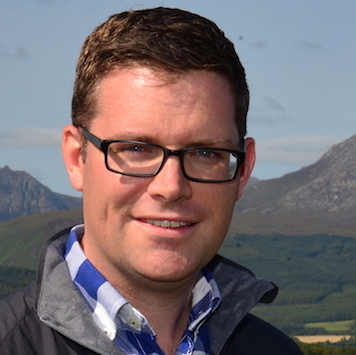 Scotland’s GP Rural Fellowship: what is it and where are they now? Scotland´s GP Rural Fellowship is an initiative that positively impacts on rural recruitment and retention. Background In Scotland 20% of the population live in a remote or rural area spread across 94% of the land mass that is defined as remote and rural. The Scottish Government has, in its Quality Strategy outlined the need for equitable access to high quality healthcare services for all patients regardless of personal characteristics including geographic location. NES works in partnership with territorial Health Boards and medical schools to address rural recruitment and retention through a variety of initiatives and the longest established of these is the GP Rural Fellowship, which has been in place since 2002.The current model involves co-funding arrangements between NES and participating Boards supporting a maximum of 12 fellows per year. Summary of work A survey of all previous rural fellows was undertaken in the first quarter of 2014 including all fellows that had undertaken the fellowship in the 11 academic years from 2002/03 to 2012/13. A total of 69 GPs were recruited to the fellowship in this period with a response rate of 98%. Summary of results A total of 46 graduates are working in rural areas or accessible small towns (71%), 39 in substantive general practice roles (60%). Conclusions Scotland’s GP Rural Fellowship programme is an example of successful collaboration between education and service and the results of this survey suggest that approximately three quarters of graduates are retained in important roles in rural Scotland. Take-home message Scotland´s GP Rural Fellowship is an initiative that positively impacts on rural recruitment and retention. On why clinical guidelines need to reflect the range of expertise and time available to address health concerns, in the context of busy surgeries and patients with complex health needs. See link to article. Let’s stop for a second to think how much we could gain if all those involved - particularly HR departments - could work more effectively to value our future colleagues - and their partners and families - to take up positions that we are spending so much energy trying to advertise. There are of course other factors affecting the recruitment crisis within general practice, but for those who are up for the challenge - and who have recognised it as a stimulating career - we should be doing everything possible to make their move a feasible and fair prospect. See link for article. Let’s stop for a second to think how much we could gain if all those involved – particularly HR departments – could work more effectively to value our future colleagues – and their partners and families – to take up positions that we are spending so much energy trying to advertise. There are of course other factors affecting the recruitment crisis within general practice, but for those who are up for the challenge – and who have recognised it as a stimulating career – we should be doing everything possible to make their move a feasible and fair prospect. See link for article. Presentation to Glasgow University GP Society about the attractions and challenges of rural practice. Poor progress in harnessing advances in IT is holding back innovation and the ability to provide patients with modern health care. See link for article. Thinking back to my own student days, I found myself repeating advice that I had received whilst a student in Stornoway: ‘Seize every opportunity. And never lose sight of the diagnostic power contained within your patient’s story combined with sound clinical examination.’ Inspiring the next generation with generalism. See link to article. Why consider Rural GP as a career? In January 2016 three Glasgow University medical students - Zeyar MyoTin, Lara Kelly and Faseeha Farid - came to Arran to find out more about a career in rural practice. Here's their video. A review of ten years operation of the NHS Scotland GP Rural Fellowship programme. Context: In Scotland 20% of the population live in a remote or rural area spread across 94% of the land mass that is defined as remote and rural. NHS Education for Scotland (NES), NHS Scotland’s training and education body, works in partnership with territorial health boards and medical schools to address rural recruitment and retention through a variety of initiatives. The longest established of these is the GP Rural Fellowship, which has been in place since 2002. This article describes this program and reports on a survey of the output of the Fellowship from 2002 to 2013. The Rural Fellowship program: The Fellowship is aimed at newly qualified GPs, who are offered a further year of training in and exposure to rural medicine. The Fellowship has grown and undergone several modifications since its inception. The current model involves co-funding arrangements between NES and participating boards, supporting a maximum of 12 fellows per year. The Health Boards’ investment in the Fellowship is returned through the service commitment that the Fellows provide, and the funding share from NES allows Fellows to have protected educational time to meet their educational needs in relation to rural medicine. Given this level of funding support it is important that the outcome of the Fellowship experience is understood, in particular its influence on recruitment to and retention in general practice in rural Scotland. To address this need a survey of all previous rural Fellows was undertaken in the first quarter of 2014, including all Fellows that had undertaken the Fellowship between 2002–03 and 2012–13. A total of 69 GPs were recruited to the Fellowship in this period, of which 66 were able to be included in the survey. There was a response rate of 98% to the survey and 63 of those that responded (97%) were working currently in general practice, 53 of whom were doing so in Scotland. A total of 46 graduates of the Fellowship in the period surveyed (71%) were working in rural areas or accessible small towns in Scotland, 39 in substantive general practice roles (60%). Lessons learned: Scotland’s GP Rural Fellowship program represents a successful collaboration between education and service, and the results of the survey reported in this article underline previously unpublished data that suggest that approximately three-quarters of graduates are retained in important roles in rural Scotland. It is unclear however whether the Fellowship confirms a prior intention to work in rural practice, or whether it provides a new opportunity through protected exposure. This will form the basis of further evaluation. The realisation that I have now surpassed my First5 years as a GP has been rather more significant than I anticipated. Concluding my first revalidation a few months ago seemed an anticlimax, with no ceremony, brownie points or free pens involved. Instead came the prospect of completing a new round of PSQs and MSFs, with the resetting of the revalidation clock. It didn’t feel the same as the other five-year milestones of a ‘typical’ GP career - qualifying MRCGP, and five years previous to that, qualifying in medicine. The realisation that I have now surpassed my First5 years as a GP has been rather more significant than I anticipated. Concluding my first revalidation a few months ago seemed an anticlimax, with no ceremony, brownie points or free pens involved. Instead came the prospect of completing a new round of PSQs and MSFs, with the resetting of the revalidation clock. It didn’t feel the same as the other five-year milestones of a ‘typical’ GP career – qualifying MRCGP, and five years previous to that, qualifying in medicine. Being Rural: Exploring sustainable solutions for remote and rural healthcare. Recruitment to remote and rural areas is dependent on the factors outlined above. RCGP Scotland has outlined its strategic plan to address them with stakeholders who include Scottish Government, the British Medical Association, Health Boards, and NHS Education for Scotland. Actions include advocacy with Government on the urgent need to improve connectivity, buddying for practices between urban and rural areas and development of a novel education package for GPs who wish to move from urban to rural practice. (Poster presentation of previously published RCGP Scotland policy paper). Introduction Remote and rural healthcare in Scotland has reached a crisis with problems with recruitment & retention for general practices throughout the whole country. The causes of the crisis are complex and multi-factorial and have the potential to adversely impact on safe and effective patient care. Within Scotland, significant initiatives have already been taken by NHS Education for Scotland and others. These include a Schools programme, remote & rural training track for GP trainees and a longstanding rural fellows scheme by NHS Education for Scotland. However, problems remain and Royal College of General Practitioners (Scotland) felt that a fresh strategic approach was needed. Methodology The RCGP Scotland Remote & Rural Strategy Group was formed in 2013 to stratify RCGP Scotland’s work on rural & remote matters. Representation was sought from rural GPs, as well as NHS Education for Scotland, NHS Highland and the RCGP Rural Forum. The work of the 2012 Dewar Group was helpful in stimulating initial discussion that led to the production of a ‘Being Here’ mindmap produced by Miles Mack, which subsequently informed the wider view taken towards factors that have an impact on GP recruitment & retention in remote and rural areas, such as connectivity and professional isolation. Several meetings have been held between 2013 and 2015, with ongoing email communication to advance priority areas which we have identified as being most pertinent to the ongoing challenge of the recruitment and retention of rural GPs in Scotland. Results & Discussion Discussion with remote and rural GPs and many other stakeholders identified the following factors. These constitute a particularly challenging set of circumstances in which to recruit and retain both GPs and other healthcare professionals to remote and rural environments. • Connectivity (mobile phone/broadband) • Transport • Fragility of support services • Workload (including the 24 hour commitment) • Professional development • Education & Training • Professional and social isolation In 2014 RCGP Scotland developed and published a major policy document with stakeholders, Being Rural, to highlight these issues and to ensure focussed action to address them. All are important but the issue of poor mobile phone and broadband connectivity is a major deterring factor for young GPs and other health professionals. http://www.rcgp.org.uk/rcgp-near-you/~/media/Files/Policy/A-Z-policy/RCGP-Being-Rural-policy-paper-and-appendix-2014.ashx Since then, the ‘Being Rural’ paper has informed media inputs from RCGP Scotland, helped to galvanise understanding of some of the less obvious factors involved in GP retention, and stimulated discussion with other key stakeholders, such as public and private organisations contributing to the Scottish Government’s 2020 digital vision for world-class connectivity. With regard to rural recruitment, our work has been further informed by reflecting on the concept of a ‘rural medical workforce pipeline approach’, an overview of which was described by Norris (1). The pipeline conceptualizes a joined-up approach from provision of effective school-based work experience, through to attractive fellowship and other postgraduate opportunities within rural practice. Conclusion Recruitment to remote and rural areas is dependent on the factors outlined above. RCGP Scotland has outlined its strategic plan to address them with stakeholders who include Scottish Government, the British Medical Association, Health Boards, and NHS Education for Scotland. Actions include advocacy with Government on the urgent need to improve connectivity, buddying for practices between urban and rural areas and development of a novel education package for GPs who wish to move from urban to rural practice. Furthermore, we believe that there would be benefit in achieving a more integrated approach to the longitudinal aspects of training for, and recruitment to, rural practice, by learning from international experiences of the ‘pipeline approach’. Norris TE (2014). Addressing rural health workforce shortages: The pipeline concept. Chapter 1.2.3; WONCA Rural Medical Education Guidebook. http://www.globalfamilydoctor.com/groups/WorkingParties/RuralPractice/ruralguidebook.aspx [accessed 27th August 2015]. Arran Resilience offers a cost-neutral, easily implemented model of immediate care delivery to rural areas. It seeks to recognise the skillbase of emergency teams, and improve co-ordination of emergency responses at high demand or in the event of a major incident or complexity. Aim Arran is an island community with finite – but committed – emergency medical resources. Prior to October 2010 no mechanism existed for regular dialogue between emergency teams such as the ambulance, mountain rescue, coastguard and fire services. We sought to change this with the aim of better networking and interagency training. Methodology We aimed to improve communication between team leaders, and sought to build a partnership based on four key principles: 1) Local ownership; 2) Can-do attitude; 3) Working within existing competences/frameworks; and 4) Cost neutrality. Twenty five liaison meetings involving team leaders have now been held. We have identified core educational opportunities, run eight island wide workshops for 57 responders, and are carrying out some original work on designated rendez-vous points. All emergency teams have had the opportunity to refresh their skills in CPR and triage, and we have had useful discussion about major and multiple incident responses on the island. Results & Discussion We have now held twenty five liaison meetings. In the initial stages we ran eight island-wide workshops on casualty care, and until recently, organised three multi-agency exercises at very low cost. Regular dialogue between teams has been facilities via a group email, and this has resulted in better understanding of each team’s skills and capabilities. Our ‘Team Profiles Document’ summarises equipment, skills and personnel for each of our emergency teams, and is updated on an annual basis. 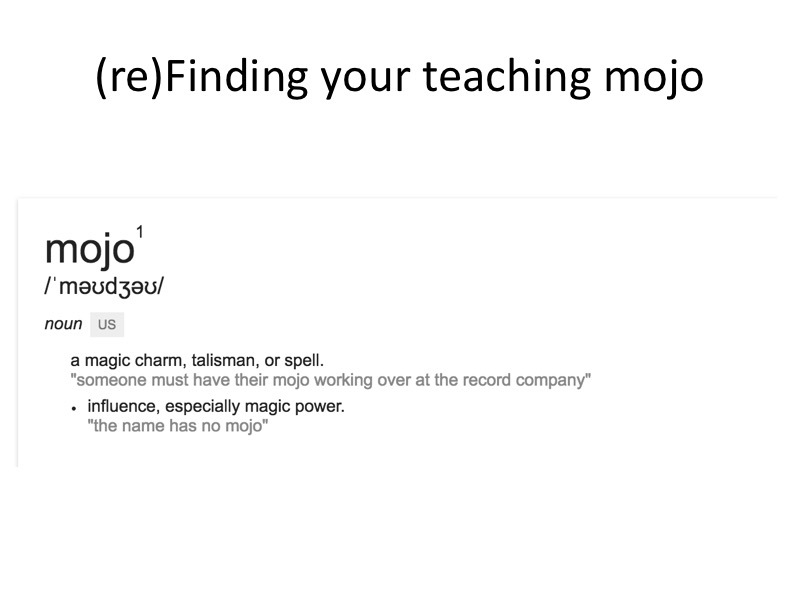 This is particularly helpful for new staff e.g. police officers to understand capabilities of the emergency teams. We are now focussing on simulation training and refining the multi-agency response to cardiac arrest on Arran. There has been interest in the Arran Resilience model of immediate care from other island and rural communities. In 2013 we were named the UK Resilience Team of the Year by the Emergency Planning Society. Also nominated in this category were London Fire Brigade, and the Metropolitan Police team responsible for the 2012 London Olympics. Since then we have been able to focus on the sustainability and relevance of Arran Resilience activities. Conclusion Arran Resilience offers a cost-neutral, easily implemented model of immediate care delivery to rural areas. It seeks to recognise the skillbase of emergency teams, and improve co-ordination of emergency responses at high demand or in the event of a major incident or complexity. A rural perspective on the rising challenges of inequalities and complexity in medicine. The challenge of providing rural healthcare is exacerbated by inequalities that are often subtle and indirect. Complexity is the result of intrinsic and extrinsic factors, which can be more explicit when faced with provision of healthcare within the domain of generalist and isolated practice. These pressures often result in ‘inevitable innovation’ and rural practice continues to offer novel and effective means of addressing the rising tide of complexity in general practice. I shall consider several scenarios from his experience as a rural GP, and present examples of where he has found and shared innovation which may be replicated in other areas of practice. An insight into the varied life of a rural GP on the Scottish isle of Arran. WHAT’S the difference between the skeleton of a seal’s flipper and a human foot? With a new-found respect for the range of anatomy required by vets (not just one species! ), this is the question I found myself entering into Google at the end of a busy Saturday on call.Such is rural practice. 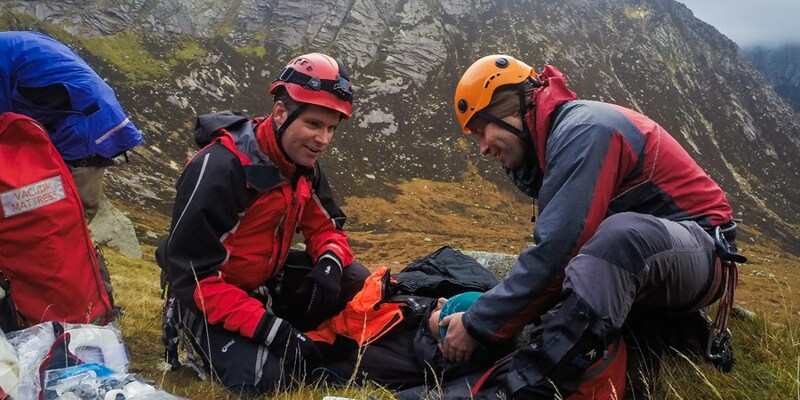 We provide a wide spectrum of medical care on Arran. It’s hugely stimulating, often challenging and occasionally daunting. The limitations imposed by being the only doctor on-call, or by transport logistics of ferry or helicopter, are relatively blatant. However, our patients tend to be understanding – whether residents or visitors – and an acceptance of the need to find common sensibility in dealing with medical uncertainties can be a helpful element of pragmatism from which to manage patient expectation. [Full article available from link]. In June 2015 we made this A-Team remake video to recruit another GP to join our team at Arran Medical Group. Oral presentation to a worldwide audience at the WONCA World Rural Health Conference. 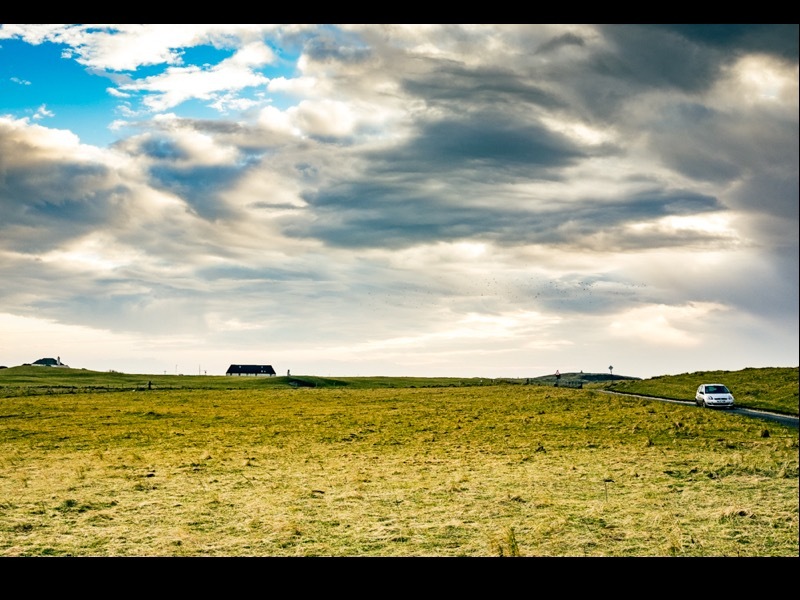 Policy Paper written by the Rural Strategy Group of RCGP Scotland. This paper cites the issues of poor connectivity (mobile and broadband), problems with recruitment and retention, increasing workload and fragility of support services as some of the main threats to patient care. In particular, the College in Scotland is calling for the eradication of the current inequalities in access to good primary healthcare provision by addressing these areas, and is keen to work with Scottish Government, health boards, partners and stakeholders to prevent a deepening crisis. Dr Miles Mack, Chair Elect of RCGP Scotland and one of the author’s of the report, told the Herald newspaper, “Smartphone capabilities fail in a great deal of rural areas, as there’s no data service at all. Then there’s mobile connectivity – how do you call an ambulance if your phone doesn’t work?” He also expressed grave concern about the difficulties in recruiting GPs to rural areas telling the newspaper that some health boards have to rely on expensive locums, who may not have the appropriate skills to run GP services, as they cannot attract permanent staff to rural locations. In January 2015 the BBC Countryfile team came to find out more about delivering rural healthcare on Arran - and the challenges of recruitment & retention in rural areas. 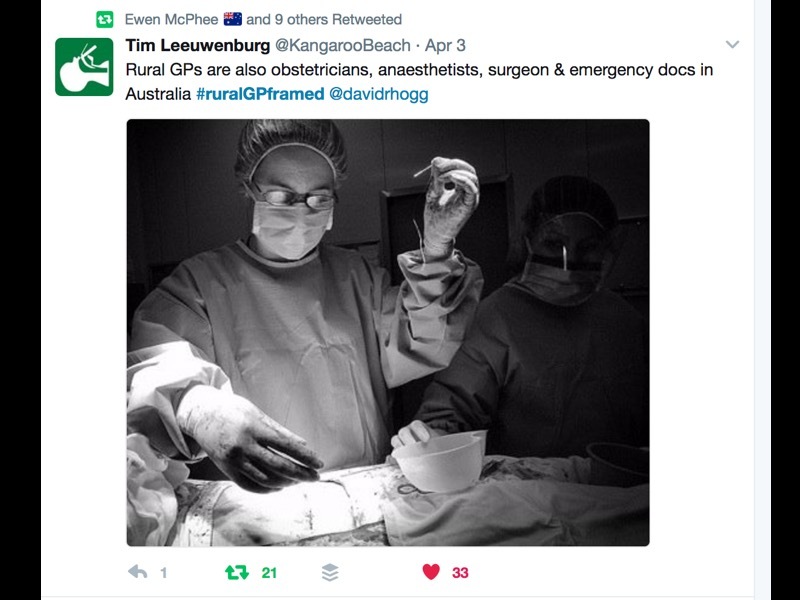 Medical Students & Rural Practice – what do we have to offer? In September 2014 I was asked to speak to Glasgow University medical students about rural practice. Unfortunately I couldn't get to Glasgow due to work commitments, so I made this video for them instead. Book Chapter (50) for The Good GP Guide. Published by RCGP. Edited by Matt Burkes and Alec Logan. Chapter (50) for The Good GP Guide. Published by RCGP. Edited by Matt Burkes and Alec Logan. We were invited to present our experience of setting up Arran Resilience - with the aim of improving communication and training between Arran's emergency teams - to the NHS Highland 'Being Here' Conference. 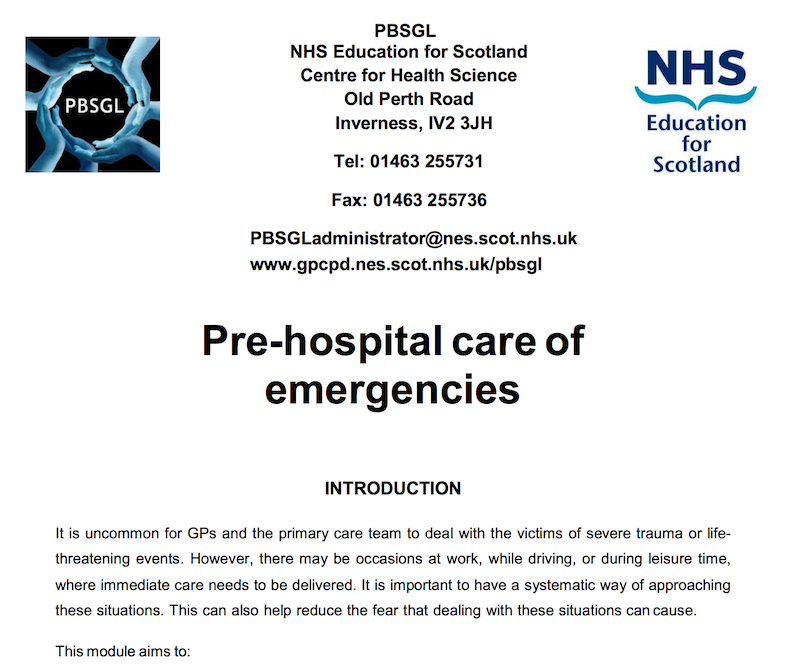 A collaborative effort amongst clinicians to produce a module for the Practice Based Small Group Learning (PBSGL) network on the systematic management of prehospital emergencies that might present in general practice. In December 2012 we launched a recruitment project to find a GP to join our team at Arran Medical Group. Here's the James Bond video that resulted. A guide for GP Registrars on what to consider when putting together a medical bag for GP work. You can contact me using the form below. Please do not send any patient-related or confidential information by this route.